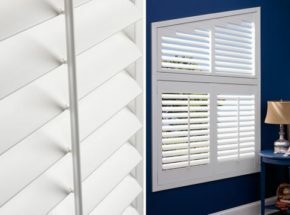 Exceptional craftsmanship and long-lasting finishes, shutters provide a classic plantation look. 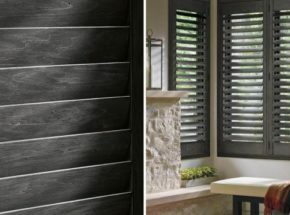 Hirshfield’s offers a versatile selection of wood, hybrid materials, and synthetic material shutter options. 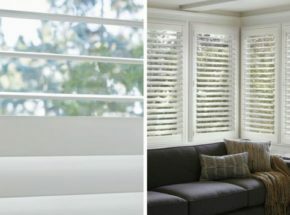 Shutters can be designed to cover all or part of a window and offer a unique design flexibility.